The International Maritime Organization (IMO) has agreed to address maritime corruption by including this important issue in its work programme for the Facilitation Committee. The decision to include an anti-corruption agenda came at the latest meeting of the IMO's Facilitation Committee (FAL) in response to a submission from Liberia, Marshall Islands, Norway, United Kingdom, United States and Vanuatu. The International Chamber of Shipping (ICS) co-sponsored the submission along with a number of other non-governmental organisations (NGOs). 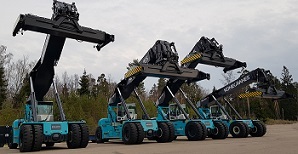 In three orders from December 2018 to February 2019, Mediterranean Shipping Company (MSC) requested a total of four reach stackers and four empty container handlers, all Smart Connected Lift Trucks, to be delivered in May. 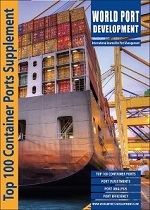 A new international joint venture that aims to change the way that containers are handled in ports has been launched by DP World and industrial engineering specialists, SMS Group. BOXBAY represents a new and intelligent High Bay Storage (HBS) system that will be ready in time for the Dubai Expo 2020 with a pilot project scheduled at Jebel Ali Terminal 4. In March the Port of Virginia processed 240,035 TEUs, making is the second busiest March in the port's history. 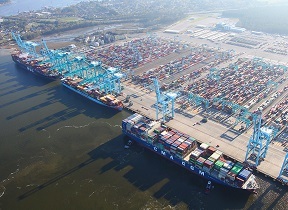 Though cargo was off nearly 5 percent compared with last March, the port is handling near-peak season volume, says John F. Reinhart, the CEO and Executive Director of the Virginia Port Authority. 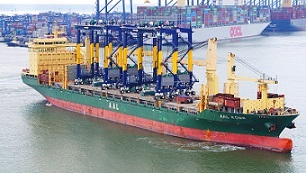 Hutchison Ports Port of Felixstowe has taken delivery of its first remote-controlled Rubber Tyred Gantry cranes (RTGs. 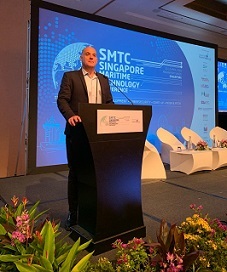 The maritime sector is being targeted by highly motivated cyber criminals and the shipping industry should be on the highest alert for a cyber-attack, warned Naval Dome CEO Itai Sela today (11th April). Navis, a part of Cargotec Corporation, and South Asia Gateway Terminals Ltd. (SAGT) announced an agreement to utilise Navis optimisation and analytics services to help the terminal prepare for further growth. VDL Groep consolidates its market position for automated guided vehicles (AGVs). Until 2023, VDL Automated Vehicles will supply no fewer than 80 electric and autonomous vehicles to port operator PSA. From 2021, these vehicles will be used for container terminal logistics at PSA Singapore's Port. The order involves tens of millions of euros. 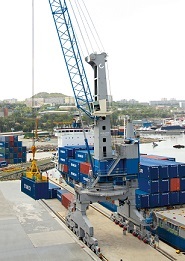 In January this year, Uddevalla Hamn Terminal AB ordered an eco-efficient rail-mounted Konecranes Gottwald Model 3 Portal Harbor Crane, for delivery in autumn 2019 and commissioning in December.